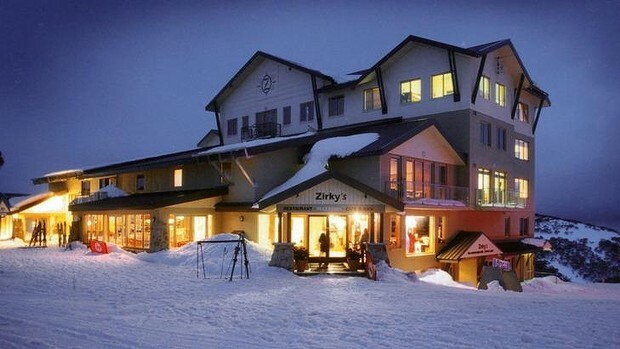 Zirky’s ski lodge at Mount Hotham. It’s time to dust off those shellsuits, skivvies and Explorer socks and head to the slopes. And, whether your idea of a skiing holiday is exhilarating adventure sports or more ’80s classic Hot Dog…The Movie, you’ll need fuel for all that fun. Fortunately, there are some decent places for discerning travellers to eat, drink and shop on the mountain and along the way. Like all seasonal holiday destinations, food offerings in the snow can be hit and miss. We’ve drawn on a mix of personal experience and trusted leads to paint this year’s culinary portrait of Mount Hotham and Thredbo. If you can’t stomach the 4.5-hour drive from Melbourne to Mount Hotham straight, Bank Street Wood Fired Pizza & Garden in Avenel makes a great pit stop (book ahead, is our tip); or, in Wangaratta, Cafe Derailleur does more than just great (Coffee Supreme) lattes with excellent lunch offerings. If you find yourself overnighting in Beechworth, like we did, the star of the show is Michael Ryan’s seriously good two-hat destination restaurant, Provenance. Closer to Hotham, if you’re hungry in Myrtleford stop at Coffee Chakra. Expect excellent coffee (roasted on site), great house-made cakes and curries. Further down the (Great Alpine) road, in Bright, you’ll find satisfaction in the dimly lit cellar bar ambience of Thirteen Steps or one-hatted restaurants Simones (Italian) and Tani Eat & Drink(Japanese/contemporary). And the beautiful river view from all-day cafe Ginger Bakeris worth a stop, as is nearby Harrietville’s Snowline Hotel, an unpretentious country pub with great food. On Mount Hotham, though, most of the talk is about Yama Kitchen & Bar, a joint effort between Provenance’s Michael Ryan and Jeanette Henderson with Tani Eat & Drink’s Hamish Nugent and Rachel Reed. Expect Japanese/Korean-influenced snacky apres-ski food such as caramel popcorn with bacon and nuts, kimchi and cheese jaffles or perhaps a bowl of nourishing slow-cooked duck legs. Meanwhile, after a decade of leasing it out, the family owners of Zirky’s are back in charge, giving the hotel and restaurant a much-needed cosmetic and culinary lift. Finally, if you’re in nearby Dinner Plain, Tsubo is a safe bet for modern Japanese offerings. If you’re headed Thredbo way, Crackenback Farm in Thredbo Valley is much loved by locals for its relaxed, farmhouse feel (designed by architect Glenn Murcutt​) and hearty French fare. In Thredbo Village Central Road 2625 has a reputation for good cafe-style breakfasts and lunches, while Jean-Michel at theKnickerbocker is rated for its sweeping alpine views and perhaps the best pot pie on the mountain. Also worth visits are The Denman, with its terrace restaurant and two bars, and Segreto, an Italian trattoria, which this year has more focus on hearty pastas (also, look out for a “Champagne and caviar masterclass” here with chef Josh Lopez, from GOMA in Queensland – it’s part of the Top To Bottom Race festivities, to be held August 6-9). Finally, above the village at 1660 metres is Merritts Mountain House. Recently taken over by the Thredbo Alpine Hotel, it offers a beer and Lindt hot chocolate “ski-through” as well as hearty mountain food inside. Zirky’s roast lamb rack with eggplant moussaka. Observant travellers along the Great Alpine Road will notice an impressively large planting of hops. Myrtleford’s Rostrevor Farm has expanded thanks to the recent craft brew revolution and if you want to try the local stuff, Bridge Road Brewers in Beechworth is a great place to do it. While you’re in town the Cellardoor Wine Store is handy for sampling the best of the region’s grape offerings. Worth a detour is The Stanley Pub, a cosy gastropub that showcases regional beer, cider and wine, including Beechworth’s unusual Pennyweight Gold fortified dessert wine. In Bright the relatively new Cloud 9 Cinema & Bar is popular with locals while up on the mountain in Dinner Plain, Rundells is rocking the big fires and local craft beer vibe. On the Thredbo side the Wild Brumby Distillery is worth a stop for the free schnapps tasting alone (make sure you have a designated driver sorted first) and in the village Bernti’s Mountain Inn makes for an excellent drinking (and dining) hole. The King Valley and Milawa are well known for great cellar doors and cheeses but you’ll still find some gems along the snow road. Chef Michael Ryan rates the Myrtleford Indoor Market for interesting home-grown Italian vegie such as cavolo nero and chicory and nearby is The Village Trader, an eclectic wholefoods store that features local apple cider vinegars, butters and walnuts. Just off the road in Porepunkah there’s Punkah Pantry, which sells cheeses, free-range meats, local smoked trout and salmon and local wines, ciders and beers and in Bright there’s Bright Organics for a last-minute alpine fresh fruit and vegie shop. And in Thredbo Valley get your free-range organic chickens at Jindabyne Butchery and for locally produced meats, condiments and other produce Wild Brumby Distillery runs a farmers’ market on the first Saturday of each month. A two-share “lodge room” at Zirky’s on Mount Hotham starts from $794 in peak season (until August 22) for two nights but if you are less fussy about digs, ski lodges can start from $65 a person a night (Sun-Wed). At the Thredbo Alpine Hotel midweek rates (Sun-Thu) start at $210 a person a night. Off Mount Hotham, The Kilns in Porepunkah offers luxury self-contained houses starting at $300 for two people (mid-week) and The Buckland luxury retreat has a beautiful view of Mount Buffalo with rates starting at $310 a couple a night (mid-week). Mount Hotham is 4.5 hours from Melbourne by car. You’ll need to carry chains; check details at mthotham.com.au. Thredbo is a six-hour drive from Sydney. Peter Barrett was a guest of Zirky’s. 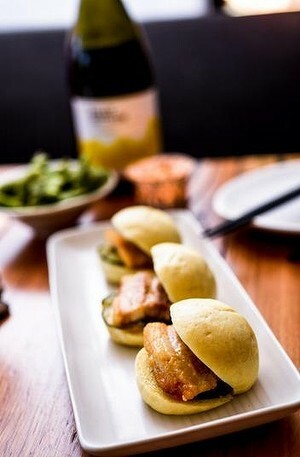 This story was originally published in The Age and the Sydney Morning Herald’s Good Food sections. Read it online here.